Using same atf with you. I last brought from autoparts direct online stockist free delivery 2 x 4L for 58.20 only. Price with discount code. 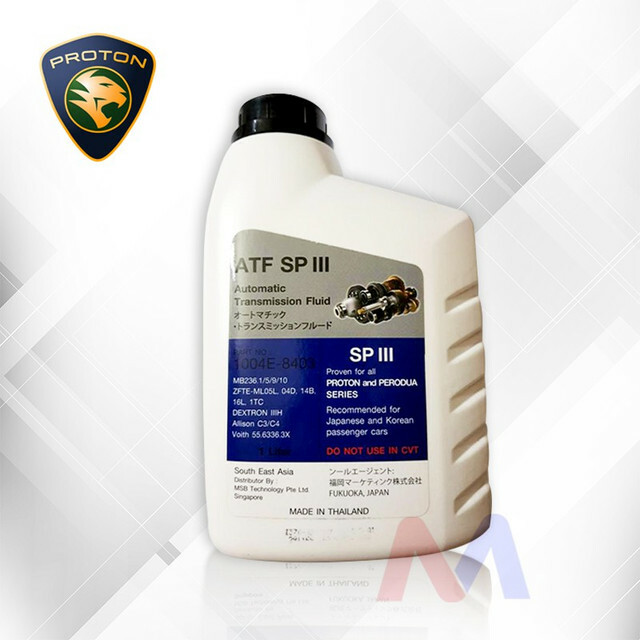 Can share more on the proton atf oil. Which one for kimchi ride to use. Atf oil sp3 n sp4 got difference. Transmission oil must use the same spec as whats required on your car. Using different spec will have adverse effect on your transmission. Always wondered if Mitsubishi Sp3 is the same as Hyundai's Sp3. any good Tyre shop u ppl can intro? ah yuen got sell that? That's good price for the blue bottle atf! Yes can get a quote from him . So you used proton’s sp3 as replacements for hyundai sp3. No problem huh? Yes.. touchwood no issues for the past 2 years.. if u look closely, the bottle says it's recommended for Japan and Korean cars.. I guessed as much. If not the same why state the same thing - SP3. Although technically the fluids need not be the same. They only need to meet the SP3 standards. One fluid might still be better than the other, in a sense. Just did wheel rotating and balancing at one of the hawk tyres outlet in jb near giant (behind shell) for rm30. So ATF SG or MY cheaper? Bought the atf for my Suzuki swift from sg stockist. Think it was around 18/bottle and bought 3. Went to Malaysia to change the atf with labour for a few bucks nia. AD champion motors charging 200+ just to change atf. What's your ride and tyre size?